This is the time of year when the weather has started getting progressively worse, when the first of salvos the annual bombardment of Christmas adverts begin, and of course when people dress up as miscellaneous undead and carve Jack-o-lanterns for Halloween. In the liturgical calendar Halloween is a time to remember the dead, in particular the saints (the hallowed) and martyrs. This kind of festival is done all over the world. In Japan the day of the dead occurs on the 15th of August (or July), the bon festival where the spirits of the ancestors return to the world of the living. Often a candle is put outside the front door so that your forebears can find their way home. This is similar to the idea behind the jack-o-lantern which acts as the reverse of the Japanese tradition, it is used to ward away the evil spirits. 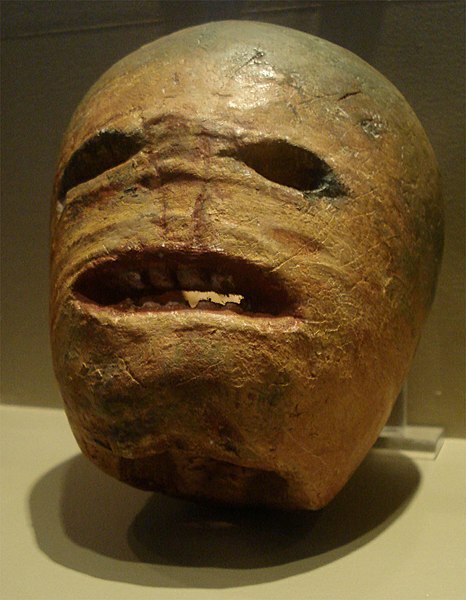 The legend behind the jack-o-lantern tells the story of an Irishman called Stingy Jack, a drunk, deceiving and manipulating all-round dreg of society. 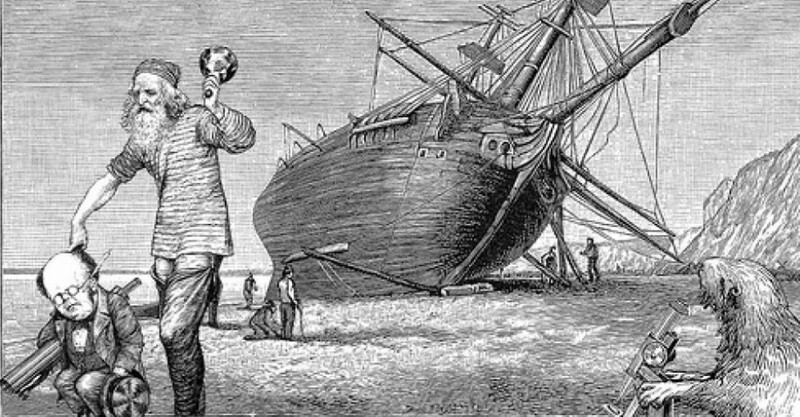 Jack’s bad reputation became the envy of the Devil himself, who subsequently went out to see for himself if Jack was as bad as he had heard. One night Jack was stumbling through the countryside, typically drunk. At one point he came across a body on the cobblestone path, its face contorted in an eerie grimace. Jack eventually, and surprisingly soberly, realized that the corpse was, in fact, the Devil, come to collect his evil soul. Jack pleaded one last request, that he be allowed one last drink of ale. Seeing no reason to refuse the Devil took Jack to a nearby pub and ordered several rounds of ale which Jack duly consumed. Once Jack had slaked his thirst he told the Devil to pay the bill. Somewhat taken aback, and presumably lacking in money, the Devil decided that the best course of action was to turn himself into a silver coin for Jack to give to the bar keeper. Jack, however, put the silver coin into his pocket, which also contained a crucifix. Trapped by the power of the cross the devil could not turn himself back. Foiled by Jack’s cunning the Devil had no choice but to agree to Jack’s demand, namely to spare his soul for the next ten years. The bar man presumably was never paid. Ten years later to the day and the Devil returned to collect Jack’s soul. However, the Devil had clearly forgotten the cunning Irishman’s previous trick. Jack had another final request. He claimed that he was starving and asked if the Devil would pick him an apple from a nearby tree. Foolishly the Devil acquiesced and climbed up the tree. At this point Jack surrounded the base of the tree with crucifixes, thereby trapping the Devil yet again. This time, to bargain for his freedom, the Devil was forced into declaring that he would never lay claim to Jack’s soul ever again. That would seem to have been the end of the matter. However, soon after Jack’s binge drinking caught up with him and his soul appeared before St Peter at the Pearly Gates of Heaven. St Peter reminded Jack of his sinful life and that in view of the multitude of transgressions Jack would not be allowed into Heaven. Seeing no alternative Jack went to the Gates of Hell and begged the Devil to let him in. The Devil, true to his previous promise, also refused Jack entry. Jack was cursed to roam the world for eternity, and to warn others he was given an ember from Hell that never died. Jack placed this ember in a hollowed out turnip to use as a lantern to light his way, becoming known as Jack of the Lantern. The earliest account of this story comes from the 19th century and explains the name jack-o-lantern.The origin of the tradition of lantern carving is somewhat more uncertain. The practice of carving vegetables in this manner is virtually universal, it is likely that carving gourds has been happening for thousands of years. The Maori people even used to carve gourds to use as lanterns 700 years ago, the Maori word for gourd is also used to describe a lamp-shade. 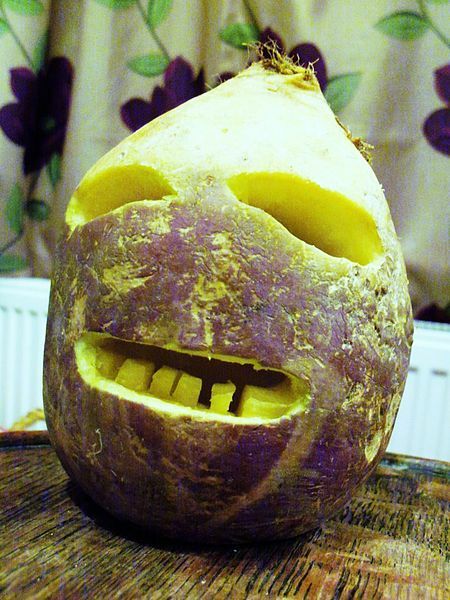 In Ireland, where the jack-o-lantern tradition is said to have originated, turnips and beetroots were carved into faces on All Saints’ Day (November 1st) to represent the people in purgatory, ward away evil spirits and to guide the guisers (trick-or-treaters). The tradition of a carved pumpkin came much later, at the end of the 19th century. Predictably it came from the United States where the pumpkin had long been a symbol of the harvest season. Originally the pumpkin had primarily been a thing reserved for Thanksgiving. An article from 1900 regarding Thanksgiving entertainment even suggested having a lit jack-o-lantern as part of the festivities. The first recorded use of a pumpkin as a jack-o-lantern with regards to Halloween was in 1866. Since then it has become the norm with sales of pumpkins booming in the days proceeding Halloween. Of course, today they are not only used to depict scary faces but also to display artistic talent (the most impressive that I have seen this year was a really detailed carving of King Kong’s face). Thank you, this was very interesting. I have heard of turnip lanterns but never seen one – it is very cute – I’m going to give it a try!